Atheneum Books for Young Readers, 9781416957867, 336pp. In a slightly futuristic, polluted world, fourteen-year-old Bryn watches an ancient egg hatch, and her life changes forever. Like her family before her, Bryn can “ken” with birds, so at first she doesn’t understand why she relates to what appears to be a lizard. Then she realizes that the critter in her care is really a baby dragon. When the dracling becomes an Internet phenomenon, she must flee to protect him from poachers and others who wish him harm. But will Bryn be able to protect him, or will she lose the dracling just as she comes to love him? 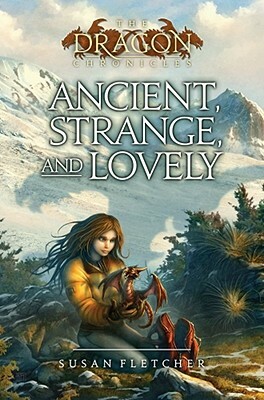 A fast-paced, standalone addition to Susan Fletcher’s beloved Dragon Chronicles series, Ancient, Strange, and Lovely puts a modern twist on a timeless genre.